Hello, name's Ricky. I started an account on this forum because I wanted some information about what I should buy. I played saxophone in school and am looking to get back into music. I love the sound of the fiddle. I bought a cheap Mendini, which has been fun to mess around with, but I am now looking for an instrument that will be easier to learn on and won't require an immediate upgrade. Yamaha appeals to me because their instruments are supposedly made with the beginner in mind, but I want to give fiddlershop violins a hard look too. I like the idea of a violin with a community behind it. I looked at Kennedy Violins but the lack of real purfling makes question the quality. I think you can throw higher quality strings and other accessories on a cheap violin and get a decent enough sound to fool a beginner like me. I'd rather have a product where the core violin was quality. Anyways, not trying to derail from the intro purpose too much, but finding out the difference between the various fiddlerman violins, and how easy/difficult they are to play is what I'm here for. Hi Ricky, I can't help you but you've come to the right place. Lots of folks here have FM violins and I've never seen a bad thing written about them. Kinda depends on how deep your pockets go. Listen to what Uzi says about his (and of course everyone else). He is new also. Welcome to the forum. I can't help you out much about the choice of a violin as I'm just 3 weeks into learning. My choice was a beginner Cecillio electric, mainly for cost & the venues in which I will play. As I get better I will invest in a better violin. FiddlerMan has some YouTube videos where you can see/hear the sound of some of the violins. My advice (and I did a huge amount of research) is to get the best Fiddlerman fiddle you can afford and call it a day. You won't be disappointed and if you are, you can return it (assuming you don't damage it). No harm -- no foul. So when you get it, don't throw the shipping box away, check it out for a few days (just in case) -- and then throw the shipping box away. "My advice (and I did a huge amount of research) is to get the best Fiddlerman fiddle you can afford and call it a day." I can see that philosophy. I need details, it's just my nature. I'm a computer programmer so my mind works a certain way :-). For most people benefits sell, not features. For me, I need a comparison matrix or a detailed list of features. It's down to the Apprentice, the Concert, and the Johannes Kohr Violin K500. I'd like to know about perfling, weight/balance, ebony grade on the fingerboard. I really like the darker sound of the Erwin Otto, but I think I can ask to have the soundpost adjusted on a different violin to get a similar effect. It also depends how much further the more expensive ones will get me vs the apprentice. If I'm likely to want an upgrade a few years in the future, it might be better to save the $100 dollars and spend the money on an upgrade later. On the other hand, maybe I can just add $150 more and call it a day. The number one thing though, is play-ability. The violin that will make me want to play and be responsive to my fingers, in my price range, is the one I want. I want to know that's it me and not the instrument when something doesn't sound right. $300 - $500 dollars might not be a lot for a violin, but it's a lot of money for me. Sorry if I seem to want a lot of info, but I just need that last bit of security to push me over the edge. I can't comment on two of them, but I own a Concert and it's a nice fiddle and is of surprisingly good quality for the price. I really like the darker sound of the Erwin Otto, but I think I can ask to have the soundpost adjusted on a different violin to get a similar effect. I discovered when researching violins, when comparing several at once, by the same maker, if they have different brands of strings on them, they will sound completely different. 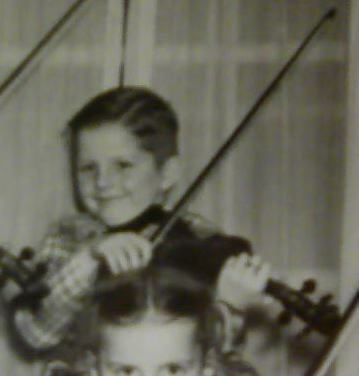 Further, out of any group of violins with the same strings on them, they will also sound different, just not much. One will be brighter, one will be darker, one will project more than another. Difference in the batch of wood used, sound post placement, bridge placement, all kinds of things effect the tone of a violin and probably no two in the world are exactly the same. The big game changer though is strings, the difference in strings is immediately noticeable and often profound on a single violin. I'd give you more info, but I have to leave for a doctor's appt. right now. If you get the concert (or probably the Kohr) I don't think you'll be disappointed. I have a Concert and it's a really nice fiddle. I will tell you though, that after two months of playing I bought a Soloist and while it's more expensive it's a much better fiddle and worth the extra money if you have it. Having said that, think you'll probably be happy with it for years. I would recommend that if you do order a Concert, pay a few extra bucks and have Fiddlerman put on a set of Zyex or Dominant Strings on it. Zyex if you're after a darker tone and Dominants if you're after projection. I have Zyex on my Concert and Dominants on my Soloist (both great strings). I'm going to put a set of Obligato strings (for a much darker tone) on the Soloist to see how that sounds. Oh, and by the way, the carbon fiber bow that's in the Concert kit (as well as the case that comes with it) are really top quality. You can't beat it for price/quality, believe me I've looked. I'll try to add more detail later, if you like. Hey Ricky...ex-saxophone player and recent fiddle learner. Been playing a little over a week. So if you have any questions 'relating' sax to violin...give me a shout. I find my mind reads the note, remembers the fingerings on sax, and only then can I figure out what note it is. I bought a $130 Cecilio electric. I needed the quiet for a two year old sleeping nearby. The cecilio is quite decent and fiddlerman gave it a good review. Came with case, bow, rosin, and headphones. If I stay with it, I'll invest more but this is good for me to start. Good luck - hope to hear more from you. Whatever you decide, we'll do our best to make you happy. If you want a darker sound, you can call us or make a note when you order the violin and I'll pick the darkest warmest one from the batch. Sometimes we have 10 in stock and sometimes we are down to the last one. The good news is that we get new shipments of concerts every week. If you don't mind waiting write that in the notes section and I'll be a bit more choosy even if it means waiting for a new batch which is at the most 1 week. I've done reviews on instruments that were dark sounding when I received them but others, that are supposed bot be the same, sound completely different. Erwin Ottos's that sound bright and irritating as well. We know how to adjust instruments here at fiddlershop to shape the sound a lot but we can't change the sound completely. The "Concerts" have a tendency to darker tones compared to many other instruments. So if you have any questions 'relating' sax to violin...give me a shout. I find my mind reads the note, remembers the fingerings on sax, and only then can I figure out what note it is. Tenor saxophone is a transposing instrument, meaning that its sheet music is kind of a lie. When you see a middle C on the sheet, you are supposed to play the Bb below low C, while calling it middle C.
Violin sheet music is honest in that when you see middle C, you play middle C.
If you had a score with both violin and sax parts, and if the sax part were written in C, the violin part would be in Bb (two flats). If the violin part were written in C, the sax part would be written in D (two sharps). Just ordered an Apprentice violin, so I think I'm set.. I figure I'll put the money in my second violin and give somebody a start when this one is done. I tried two starter violins at a music store yesterday. The sound was flat and lifeless and the bridges leaned and the feet were too far forward. The faux perfling was drawn on in such a way that it didn't even look good. It would have been better to just omit it. I'm tempted to try and switch to the concert last minute so the violin won't be so orange. I also see now what flamed back is so attractive. Pictures don't do it justice. Call us tomorrow and we'll cancel the order for you. No problem at all. And yes, they are all very yellow. The concert is a golden brown. Much more attractive but not a perfect varnish in any case. Very much of a hand made feel and we love the sound. @rczeien: I've had my "Concert" violin going on two year's and am totally satisfied with it's sound and ease of playing. I wouldn't be afraid to use it playing in any orchestra or gig. When I bought mine it was called, "Concert Master" but the same instrument. Little story, I was at my luthier shop yesterday, I asked him what he had in the way of reasonably priced violin's. His question to me was, " why do you want another violin, you already have a great sounding one", lol, so I put that silly notion to rest. Based on your note on the purchase I picked the darkest and nicest sounding violin from 4 but the varnish was worse on this one. To make up for it, I added a gift in the case. Hope you like it. rczeien welcome to the forum and congratulations on buying your violin! @Fiddlerman, that's incredible very kind of you. I'm not concerned if the varnish isn't perfect. In the video, it sounds incredible. Way better than a $400 dollar instrument should. I'm also glad it isn't orangish-yellow like I was going to buy. That color reminds me of old people furniture. If I had bought a violin like that, I'd have to get a paisley case. Congratulations on the new fiddle. I can't wait to hear it. Hi Ricky, welcome, and I hope you enjoy the new instrument, and the FM community ! I need a new acoustic, and once I have the pennies saved, I'm pretty certain it will be the FM Concert. Just don't forget to give it a name ! The violin is a great instrument to learn. All you need is devotion, persistence, patience, perseverance. Other than that, it's a piece of cake. If you hang in there you will be greatly rewarded. It will take some time, but it will be well worth it.